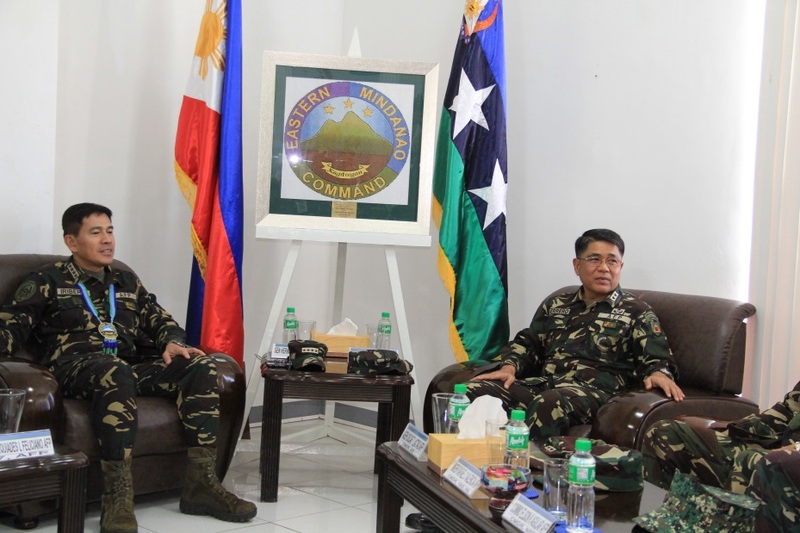 NSFA, Panacan, Davao City – The Chief of Staff Armed Forces of the Philippines General Hernando DCA Iriberri and party visited the home of the AFP’s Eastern Mindanao Command in Naval Station Felix Apolinario, Panacan, Davao City at 2:15 p.m., February 17, 2016. Gen. Iriberri’s visit is part of his visit to units in Mindanao area to check on the progress of security operations and support to development efforts of units; and check the state of morale of soldiers. 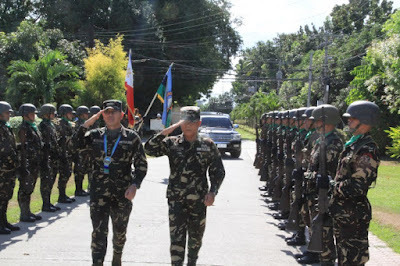 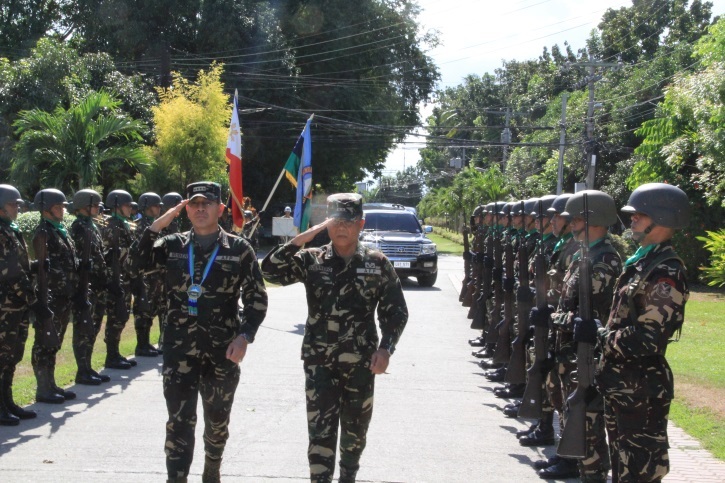 Eastern Mindanao Command Commander Maj. Gen. Rey Leonardo B. Guerrero led the field commanders and men in welcoming Gen. Iriberri and party at Headquarters EastMinCom. 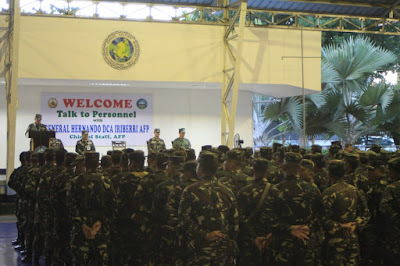 Gen. Iriberri also urged the soldiers to continue the pursuit with all the concerned stakeholders of Bayanihan and maintain the good rapport with the communities in achieving peace in the region.